UPSTAGE CENTER, INC. HAS BEEN WORKING IN THE FAST PACED EVENT PRODUCTION INDUSTRY FOR OVER 30 YEARS, BRINGING A VARIETY OF SERVICES, FROM OUTDOOR FESTIVALS AND SMALL EXPOS, TO HUGE STADIUM EVENTS. 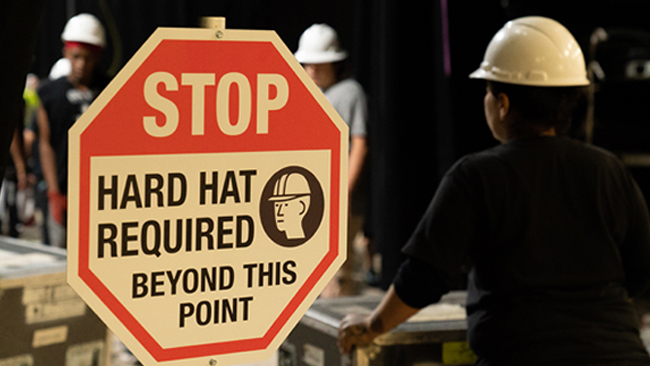 Our staffing consists of trained professionals such as; riggers, stagehands, loaders, spotlight operators, boom lift operators and scaffolding climbers. 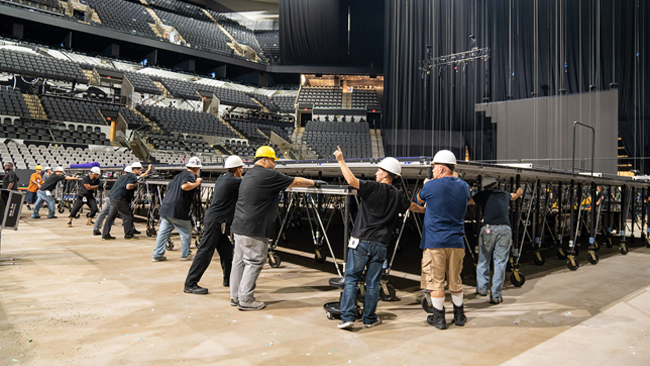 We have the largest selection of staging equipment in Texas, including all-access rolling risers, sound wings and delay towers, scaffolding stages and more. Upstage Center is committed to creating and maintaining a safe and productive work environment. We make every effort to provide workers with safety education.